Intrinsic Training Solutions are specialists in delivering workplace training and apprenticeship Programmes 100% in the workplace. Visit us by contacting us and arranging an appointment. Intrinsic Training Solutions are a leading, provider of successfully delivered and completed apprenticeships and relevant up to date workplace training programmes with over 20 years experience of delivering 100% in the workplace having delivered highly successfully high quality apprenticeships and NVQs for very many food production organisations across the country for the last 20 years. Philip Wadsworth is the Managing Director responsible for the delivery of the training delivered. I have over 25 years of experience working in the meat and food retail and production sector of the food industry. Intrinsic Training Solutions were formed in 2001. Our high quality Training and Development services are delivered across Yorkshire, Lancashire, Lincolnshire and very many areas Nationally. We deliver apprenticeships in Butchery, Food Manufacturing, Leadership and Management, Warehousing and many others found on our apprenticeships page. We work in many different ways to deliver the high quality and successful apprenticeship programmes. Our role can be as the the Assessor, Programme Manager or IQA. Do you need advice or guidance…. about the levy? 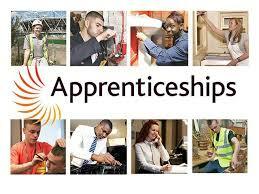 Perhaps deciding which or how to start an apprenticeship programme? We can help….we will help you if you contact us? As well as giving young people the chance to build a better future by learning on the job from day one, apprenticeships also give those already in work the opportunity to upskill and progress further in their careers. For the larger employer the apprenticeship levy has been set at 0.5% of pay bill these are employers with a pay bill of more than £3 million. Smaller Employers are not required to pay the levy but are required to contribute towards the costs originally set at 10% of the funding for the apprenticeship now reduced from 1st April 2019 to only 5% and will then continue to receive further government support towards the costs of apprenticeship training and assessment. • 100% contribution from government towards the cost of training for small employers not required to pay the levy and who take on apprentices who are 16 to 18 years old, 19 to 24 year old care leavers or 19 to 24 year olds. • £1,000 each from government to employers and training providers when they take on 16 to 18 year olds. Who is required to pay the levy? When is the Levy Start date – The Timing? Will employers with a salary bill of less than £3m be affected? What about small businesses do they pay the levy? How will the levy be paid to you? Do you need advice…. We will be happy to discuss the levy with you. Do you need advice or guidance…. We will be happy to discuss the levy with you.